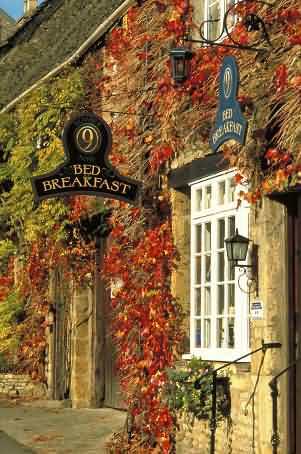 Stow-on-the-Wold is one of the most popular bustling major marketing towns of the Cotswolds and famous for its antique shops. 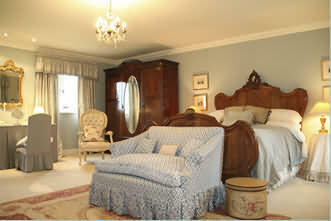 There is an excellent selection of Guest Houses and Bed and Breakfasts (B&B). edge of the well known picturesque market town of Stow-on-the-Wold. Mole End offers luxury accommodation in a tranquil setting, enjoying uninterupted views for 10 miles. All the bedrooms are cosy and comfortable, with sumptuous beds and fine linen, equiped with tea and coffee making facilities, haidryers and radios. The centre of Stow on the Wold is only a 7 minute walk from Mole End, with its' excellent selection of gastro pubs, bistros and shops, there is plenty to do. Conveniently located off The Old Fossway (A429) we are within easy reach of Moreton-in-Marsh, Bourton-on-the-Water and larger towns of Stratford-upon-Avon, Cheltenham and the City of Oxford. Situated in the pretty village of Lower Swell (only 1.5 miles from Stow-on-the-Wold) with its beautiful Cotswold stone built cottages, Ashleigh is the perfect location for a relaxing rural getaway. 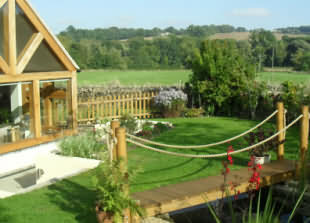 Our bungalow offers fantastic views and is ideally located just one mile from Stow on the Wold. An ideal destination for keen walkers. The kitchen has a food standard agency top rating of five. Breakfast is prepared by the proprietor, a qualified chef! You can enjoy a full English breakfast (vegetarian option available), tea, coffee, cereals, pastries and preserves. Ashleigh has one en-suite double room with a king size bed, free wi-fi, tv with dvd player, hair dryer and tea and coffee making facilities. Well behaved dogs are welcome (£10 per night supplement). A dog bed is available on request. Located in the picturesque village of Maugersbury within walking distance of Stow-on-the-Wold and within easy reach of many well known attractions, Little Broom is a magnificent detached traditional Cotswold stone house set in one acre of beautiful gardens. 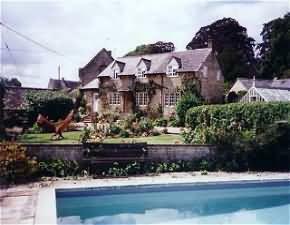 Little Broom B&B has a secluded garden with heated swimming pool in summer with swing chair, table and chairs on the lawn to sit and relax with a drink after a day enjoying the Cotswolds. 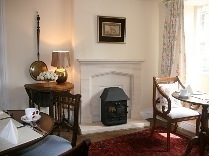 In winter you can relax by an open fire in our traditionally beamed sitting room. The breakfast room is comfortably laid out with large round mahogany table and small table for two set with bone china and silver cutlery and home made jams and honey. You will be made most welcome by your host who will do everything to make your stay an enjoyable one. 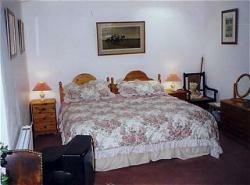 The accommodation is beautifully furnished throughout offering TV and tea/coffee making facilities in all rooms. You are welcome to relax around the outdoor heated pool in the summer season or by open fire in the winter. There is more than adequate private parking available. Free WiFi is available. The apartment can be used for self-catering as well as B&B; totally self-contained with bathroom, kitchen and shower. The bed can be arranged as either twin or double. This totally self-contained apartment looks down to the kitchen garden, paddock and stables. It has its own conservatory sitting room with patio doors leading to the garden (no kitchen). The bedroom has a queen size bed with bathroom equipped with shower. Both apartments have their own sitting room space and outside garden furniture for own use. Each are equipped with fridge, tea, coffee and TV. Each can be fitted with extra beds to suite a family. 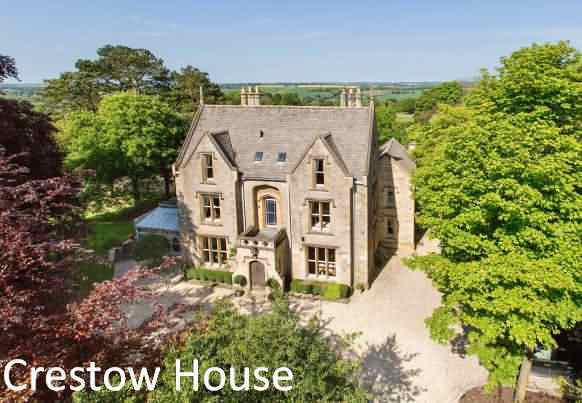 Crestow House is a restored Victorian manor offering boutique accommodations in the market town of Stow on the Wold in the Cotswolds. Free WiFi is available throughout the property. Free private parking is available on-site. All 7 bedrooms are individually designed and retain original Victorian features. Each bedroom has a flat-screen TV, tea/coffee making facilities, mineral water, bathrobes and slippers. Private bathrooms feature walk-in showers and some also have a bath. Free toiletries are provided. Guests can relax in one of the communal lounges, sun terrace or gardens. There is a bar on-site with an extensive selection of beverages and a cigar cabinet. Breakfast is provided in the conservatory each morning with choices of a full English, Continental and a la carte options. Special dietary requirements are catered for. Guests can use the property's seasonal outdoor swimming pool in the summer months. Oxford is 24 mi from Crestow House. The nearest airport is Birmingham Airport, 36 mi from the property. 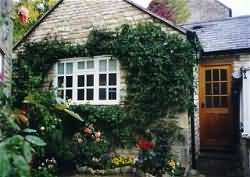 Number Nine is a bed and breakfast located a few yards from the village square and minutes from the stunning Cotswold countryside. 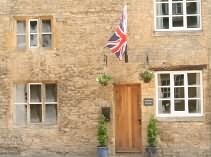 The building is an elegant 18th Century Cotswold stone house that was originally a coaching inn. The interior has been furnished to a high standard. Set in the historic town of Stow on the Wold, No.9 is ideally situated for nearby places of interest, including Stratford Upon Avon, Bourton on the Water, Cheltenham. Single occupancy of a double room is from £50.00 per night. £5.00 supplement per night for special events and weekends. No.9 is a totally non-smoking establishment. A deposit of the first nights stay will be required to confirm a booking. This is non-refundable.